"Just taking the Aston Martin out for a quick spin, Q"
A Panhard Tank hero wheel sculpt from the production of the 1987 James Bond movie The Living Daylights, which was the fifteenth in the series. 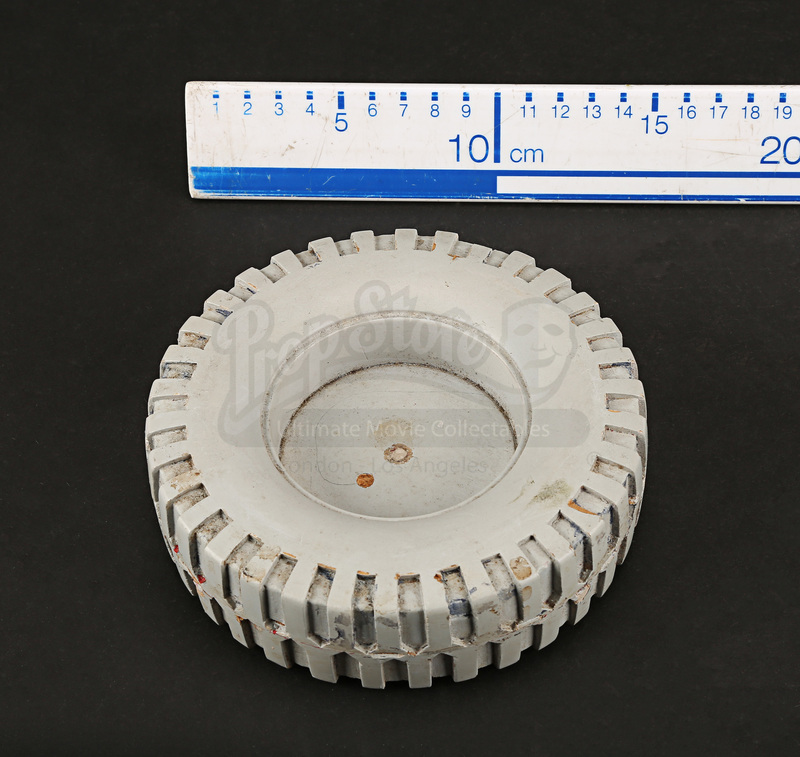 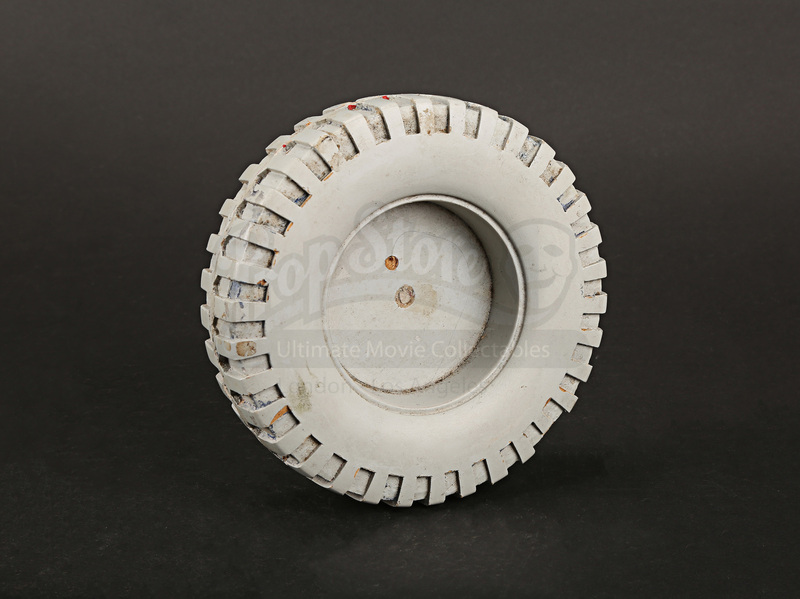 This hero sculpt was made for the production and used to make the miniature rubber tyres for the model Panhard Tanks that appear in the film. 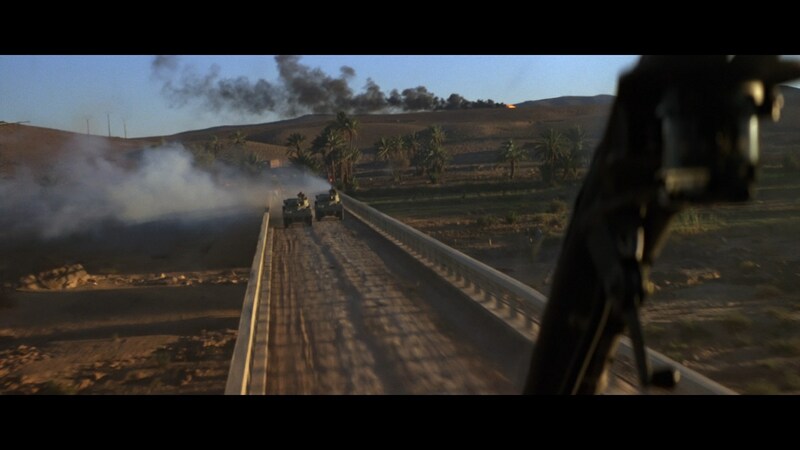 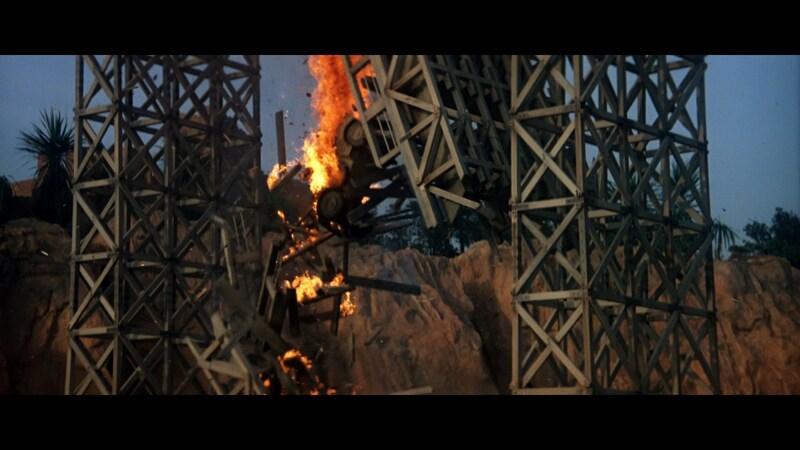 Bond drops a bomb on the tanks as they cross a bridge, causing the bridge to collapse and them to fall into the ravine. 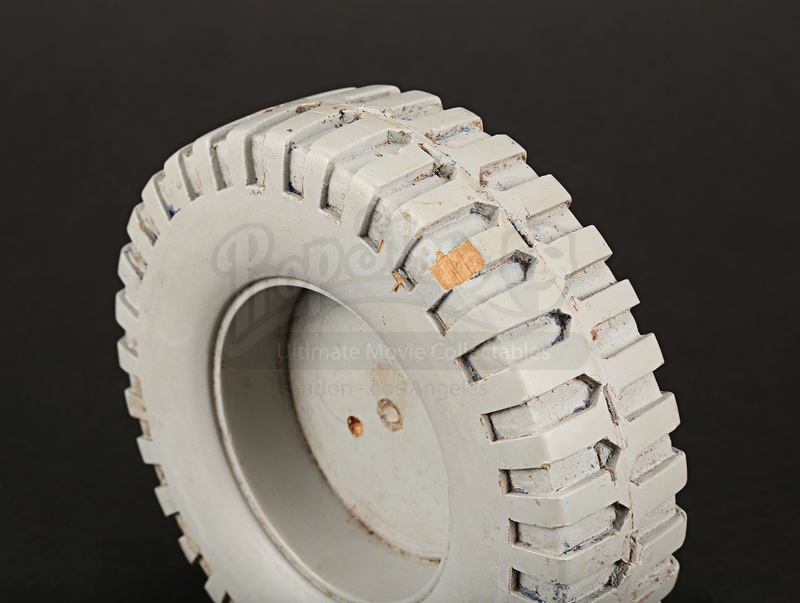 The tyre is made of wood painted grey, with a resin filler and sealer primer. 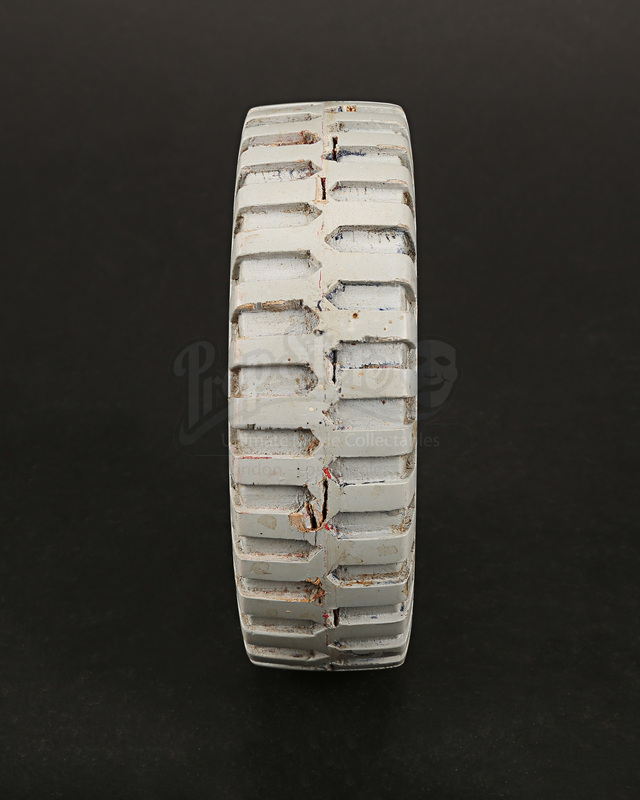 It shows wear and tear from production use, including chips in the wood, paint coming off, coloured paint marks, scratches and scuffs, and generally heavily weathered. 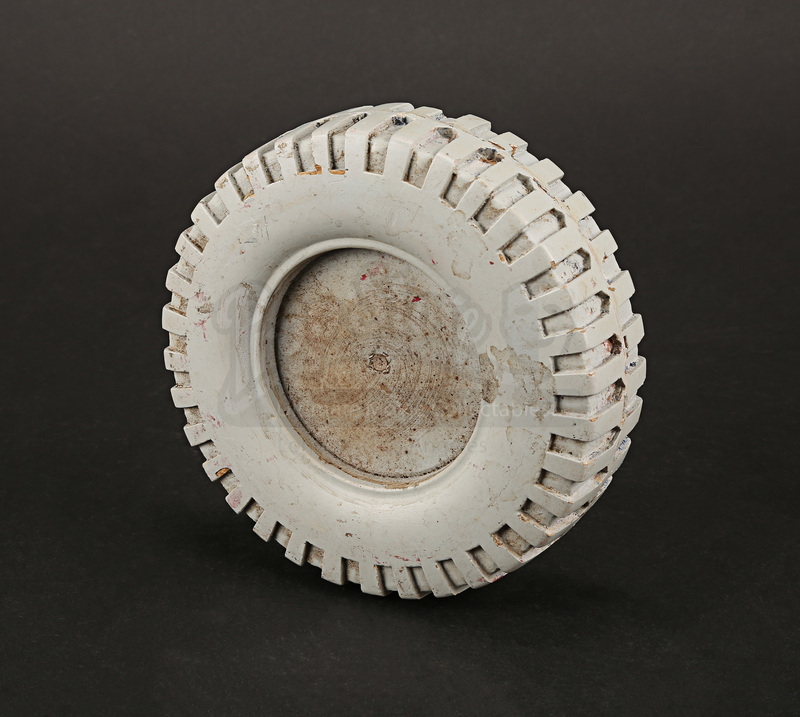 Despite this the sculpt remains in a fair condition.